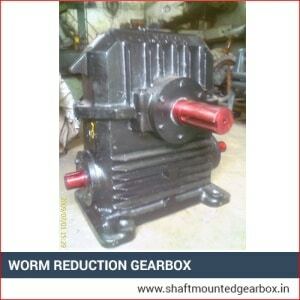 We are remarkable entity, engaged in offering superior assortment of Worm Reduction Gearbox that is used to reduce an input speed to a slower output speed and more output torque. The parts are made with expert machines and devices with the end goal to make their measurements institutionalized to come to the supplant capacity. 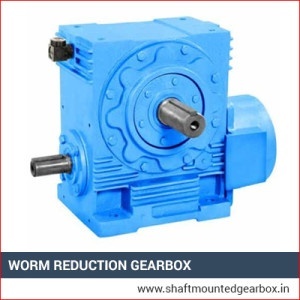 These worm reduction gearboxes are sturdily developed utilizing prevalent quality metal, which opposes the erosion and tear and wear. Worm drives are minimal methods for significantly diminishing pace and expanding torque. Small electric motors are generally high-speed and low-torque; the expansion of a worm drive expands the scope of uses that it might be appropriate for, particularly when the worm drive’s minimization is considered. 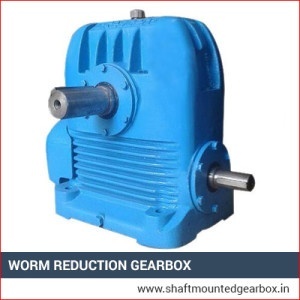 Worm Reduction Gearbox is the type of gear system in which greater collar is accomplished with low speed gear ratio. Being a simple and solid design, these gears can accomplish greater gear ratio than the helical gears. These worm reduction gears having screw type qualities are similar to helical gears, but its helix angle is typically comparatively larger) and its body is normally quite long in the axial direction. The gears in these gearboxes can be right or left-handed depending upon the purpose.